This is door 1 of my Adventskalender - looks a little strange. Normally, the chocolate in those calendars is aweful. But this one isn't! 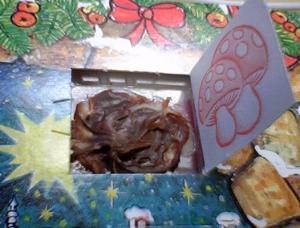 My truffle-expert wife made me the tastiest Adventskalender ever!